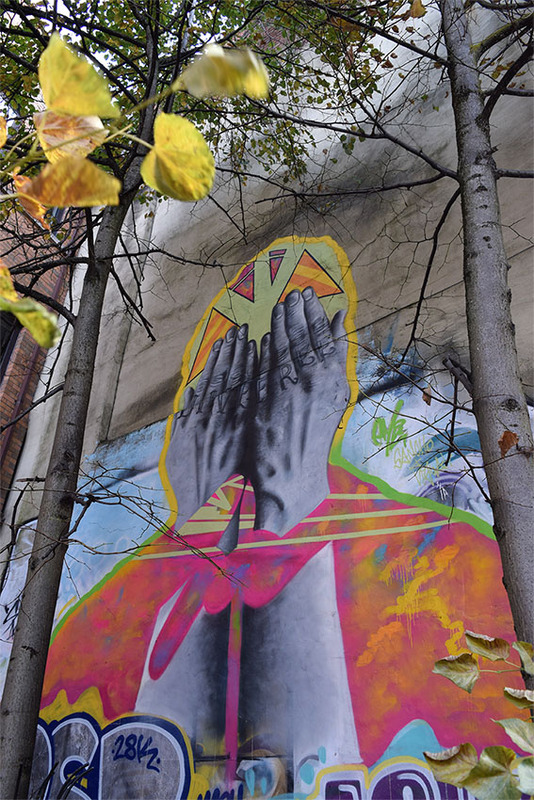 The Northern Ireland Human Rights Commission has unveiled street art outside its North Street offices to mark the 70th anniversary of the Universal Declaration of Human Rights. The Commission partnered with Seedhead Arts’ annual event, ‘Hit the North Street Art Festival’. It was paired with talented local artist, Emic, who developed the design. “The image depicts hands covering a face. The hands are held up together in a fashion that references handcuffed arms, and they cover the face to represent oppression of identity. The silhouette of the bust is filled with colour and lines, which is a reference to diversity and creativity. Emic’s art is displayed beside the Commission’s office at 39 North Street. 1. The 70th anniversary of the Universal Declaration of Human Rights falls on 10 December 2018.